Looking for something to do in Tucson, Arizona? 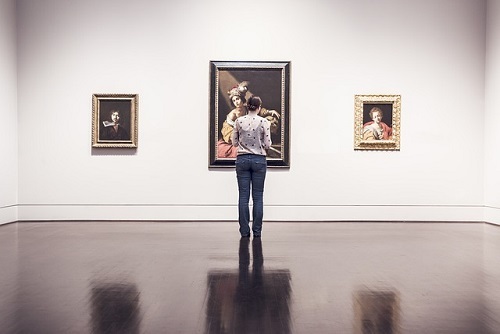 You’re in luck because Tucson is full of museums! Check out this list of the top 10 best museums in Tucson. Description: The Arizona-Sonora Desert Museum is a zoo, aquarium, botanical garden, natural history museum, and art gallery situation on 98 acres of land. This historic establishment was founded in 1952 and has played a great role in Tucson’s culture throughout the years. Description: The Pima Air & Space Museum is one of the world’s largest non-government funded aerospace museums. It features nearly 300 aircraft for visitors to view at leisure. Description: The Arizona State Museum, founded in 1893, stores archeological artifacts, exhibits them and provides education and research opportunities. Description: Named after its founder Ettore DeGrazia, this gallery includes a series of buildings located in a natural dessert setting. It features a showcase of permanent and rotating exhibits by DeGrazia with tons of other information on the personal life of the artist. Description: The museum was built in 1955 and features a variety of exhibitions and collections. Exhibition rotate on a regular basis and include everything from modern artist sketches to 15th century Spanish paintings and more. Description: Founded in 1996, the Museum of Contemporary Art has an ongoing rotation of art exhibits throughout the year. It also has a variety of events like yoga classes, Galas, and kids camps. Description: The Center for Creative Photography is the largest institution in the world devoted to documenting the history of modern North American photography. Business Hours: Monday – Friday, 10 a.m. – 3 p.m., Saturday, 10 a.m. – 9 p.m., Sunday, 1 – 4 p.m. Description: The Museum is dedicated to providing public education and the preservation of minerals and meteorites while also serving the research needs of professionals, students and collectors. The collection is world-wide in scope, but with specific emphasis on minerals from Arizona and Mexico. Description: Over 400 kinds of mammals, birds, insects, and prehistoric animals from all over the world are displayed in their natural habitats in the International Wildlife Museum. Business Hours: 10 a.m. – 5 p.m. Description: The Tucson Museum of Art and Historic Block encompasses an entire city block in historic downtown, and features original and traveling exhibitions focusing on Art of Latin America, Art of the American West, Modern and Contemporary Art and Asian Art as well as tours, education programs, studio art classes, and Museum Store to delight and educate visitors. So there you have it, a list of the top 10 best museums in Tucson. Now get out there and see some art and history!